You’re a terrific Realtor. You work hard for your clients. I want to make sure they can tell how awesome you are when they land on your Instagram page. For Free. You’re a terrific Realtor. You work hard for your clients. I want to make sure they can tell how awesome you are when they land on your Instagram page. 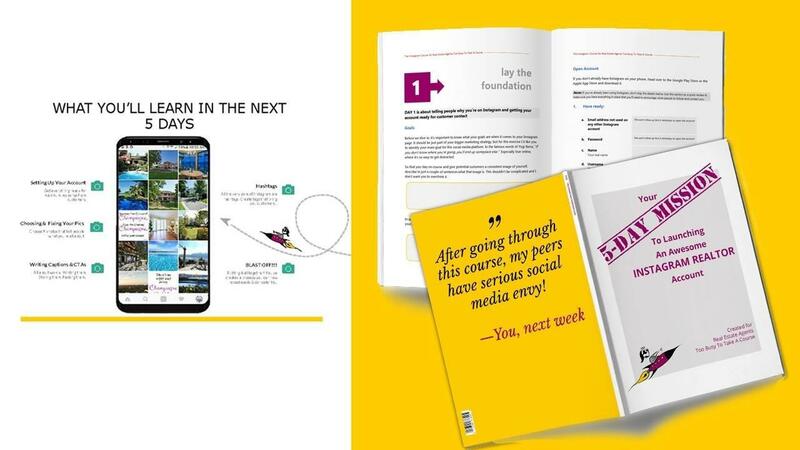 This is a basic Instagram course designed for busy Realtors that need to learn how to create an Instagram account that attracts clients. If you're already into filters + stories + IGTV, this is NOT for you! Everything in this mini-course is yours free for 14 days. You can come back and review the videos or workbook and planner as often as you like during that time. You'll also have full access to the Facebook Group.